Nat King Cole plays in my head anytime I hear the word “unforgettable”, please tell me I’m not the only one! 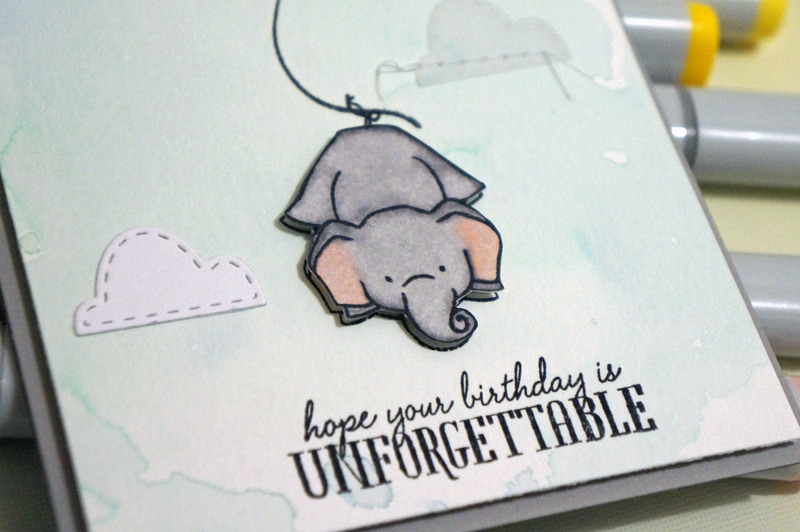 Great music to listen to while crafting, but anyway… I finally made a card with WPlus9’s Unforgettable stamp set! 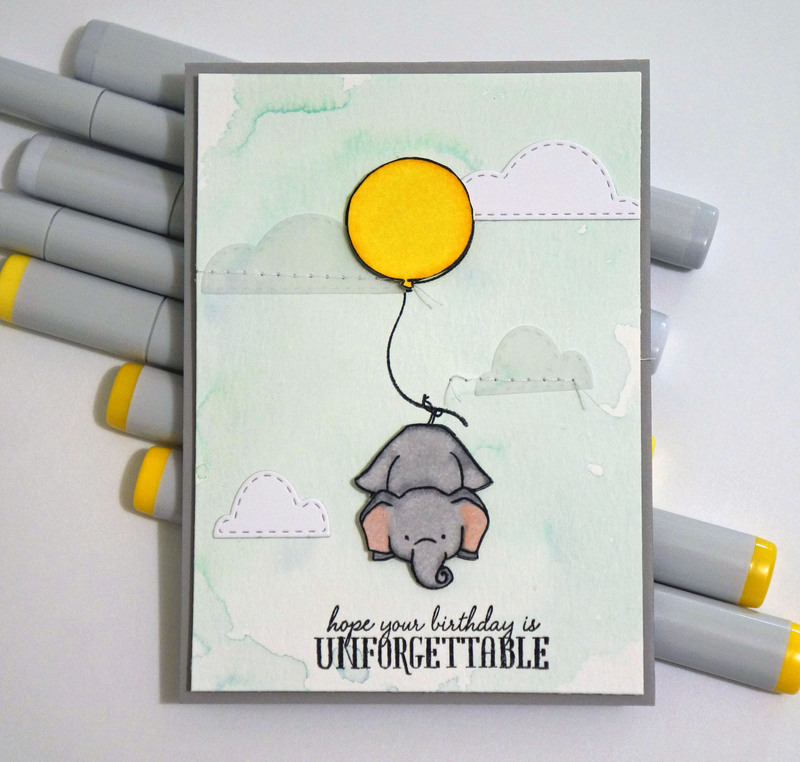 It has been a little hard to come up with something good because this set is so popular right now and everybody has been making all these great cards with these cute elephants, so it’s a little intimidating. I also wanted to bring out the copics and try to get some more practice on coloring. I wanted a blue-ish “watercolor” background so my elephant looked like he was up in the sky. I did it by daubing (<- is that right?) my Aqua Mist ink pad from Papertrey Ink onto my craft mat, spritzing some water on it, and then just placing my piece of cardstock on top of it. I sewed on a couple of velum clouds which are also from WPlus9. I’m very happy with how the card came out, I love the pop of yellow and I like how the aqua/yellow/gray combo came out. This set is just too cute to let sit for so long and I’m glad I finally made a card with it! Well that’s it folks! Please don’t forget to check out The Lovely Pear Facebook page and feel free to share! I want to say thanks again for all the “likes” and all the nice comments I’ve been getting on Instagram, seriously, thank you! I love this community because everybody is so nice and welcoming! Such a sweet Ellie card!